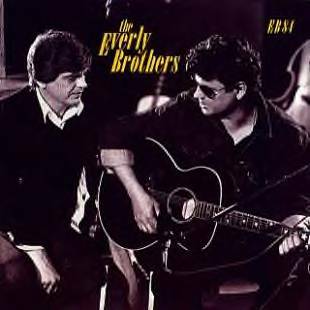 The Everly Brothers broke up in the early ’70s, and they barely spoke to each other for almost ten years. Phil & Don finally reunited for a reunion concert in 1983, and their subsequent studio album EB 84 produced the minor hit “On The Wings Of A Nightingale” (written by Everly fanatic Paul McCartney). Their next release was 1986’s Born Yesterday, a great pop/country album produced by Dave Edmunds. 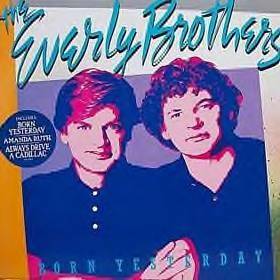 My mother had always loved the Everly Brothers, and I discovered that she had purchased the Born Yesterday LP on one of my weekends home from college. I took a listen, and was surprised how much I immediately liked it– “Amanda Ruth” was instantly catchy, and I loved their cover of Dire Straits’ “Why Worry.” I’m not always a fan of Dave Edmunds’ production skills, but he did a great job modernizing the band’s sound without compromising the beauty of Phil and Don’s legendary harmonies. Born Yesterday received mostly positive reviews upon its release, but the album didn’t sell very well (it peaked at #83 on the Billboard album chart). The brothers only recorded one more album together (1989’s Some Hearts), but they do still occasionally perform live shows. There was an actual CD pressing of Born Yesterday after its release, but it has been out of print for years and is now very hard to come by. As of this writing, an obviously deranged reseller is asking $3,773.28 for a copy on Amazon. The Analog Kid is happy to offer you a free listen from his CD copy, with the hope that you might enjoy this lost classic as much as I do. 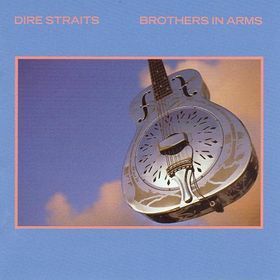 Posted by The Analog Kid on December 12, 2013 in Country, New Wave, Pop, Rock and tagged Analog Kid, Born Yesterday, Dire Straits, Everly Brothers, Rank And File. Great cover of “Amanda Ruth,” a very cool song. 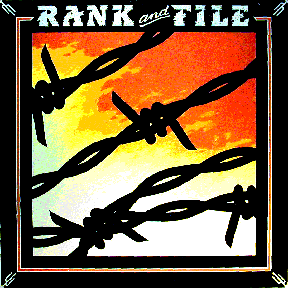 I just pulled my vinyl copy of Rank & File’s “Sundown” off the shelf. I know what album I’m ripping to digital next! I had that one back in the day. Most of my vinyl, though, is long since gone, a casualty of moves across the country and up and down the coast of California.